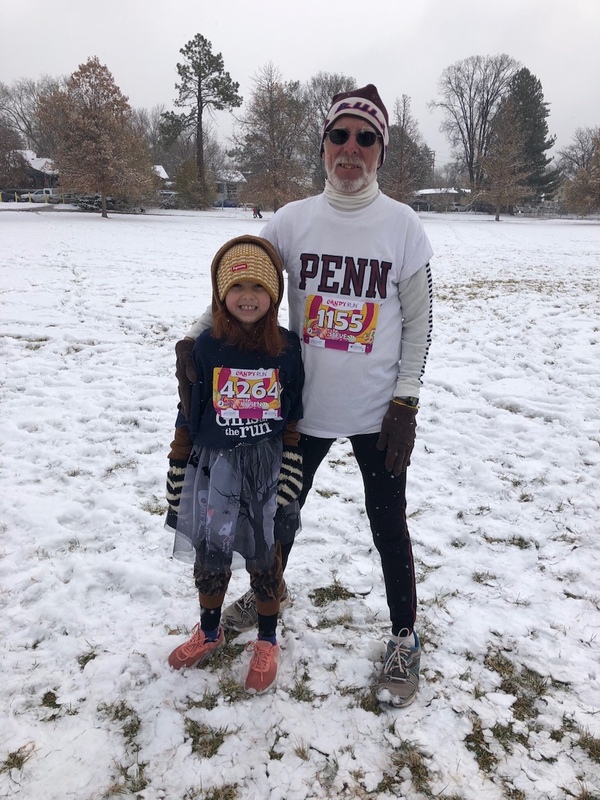 The winter season found Quakers running races, giving lectures, welcoming newborns, and—of course—winning awards. Check out the following photos we received to see for yourself. Robert Carley C’82, an artist based in Connecticut, shared letters and art with George H. W. Bush from 1989 to 2014. 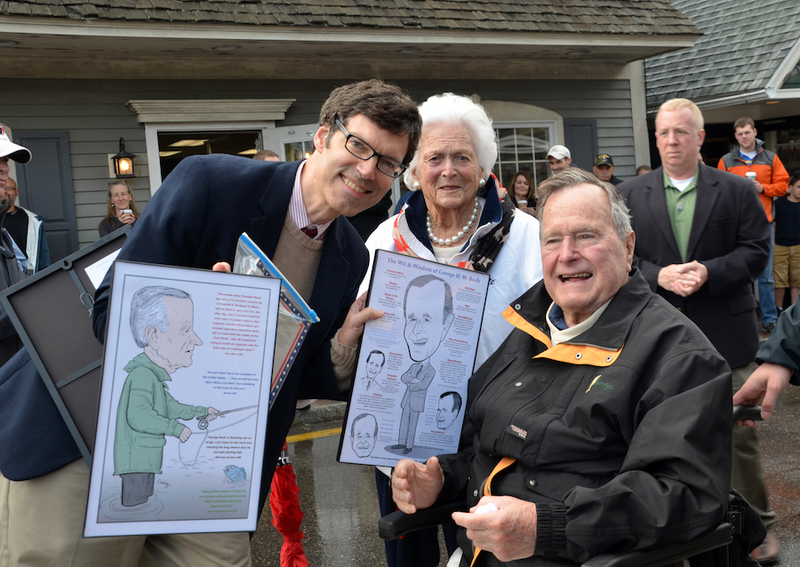 A few years ago, he had the chance to meet the former president and presented him with a couple of framed caricatures. Carley was recently interviewed by News 12 about this encounter, following Bush’s death, and the video clip can be seen at bit.ly/2AKMHMZ. Robert is also an increasingly busy background actor in movies and television, and in an episode of Netflix’s Jessica Jones, he played a hostage with a gun held to his head. 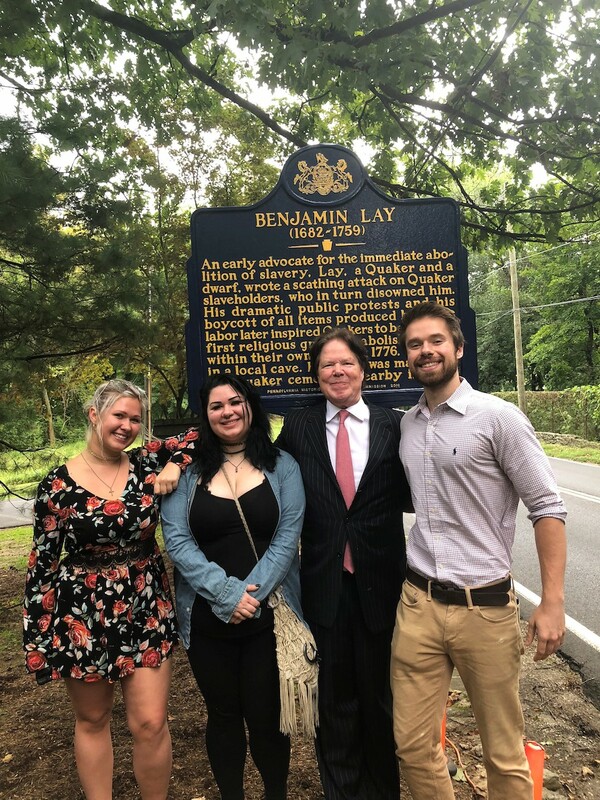 M. Kelly Tillery L’79, a partner at Pepper Hamilton LLP, helped erect a historical marker in Abington, Pennsylvania, to honor the early Quaker abolitionist Benjamin Lay, also known as “Little Benjamin” because of his small physical stature. A dedication ceremony was held in September at the Abington Friends Meetinghouse. M. Kelly provided the introductory and concluding remarks, in which he stated, “To the extent that this small token on the roadside can educate and inspire others to act and speak as Benjamin Lay did in the face of gross injustice, what we do here today will have been well worth the effort.” In this photo, M. Kelly stands second from right, along with his children, Erin, Kate, and Alexander. 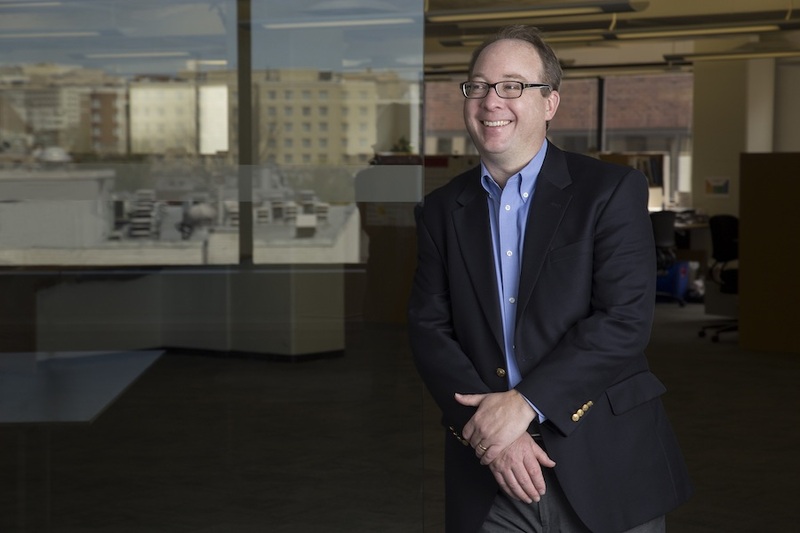 Tom Jester GFA’91, a principal with Quinn Evans Architects, has been named a fellow with the American Institute of Architects in recognition of his achievements in the renewal of aging buildings using advanced technology and pioneering methods in preservation science. 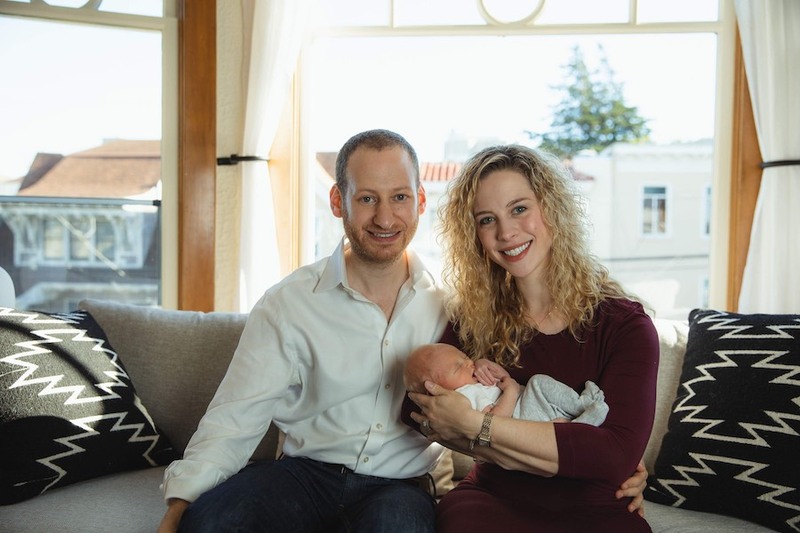 Olivier Adler W’08 and Erica Nachamkin Adler W’10 welcomed their son, Aryeh Marcus Adler, into their family in December. The Adlers live in San Francisco where Olivier works for eero and Erica for YouTube. 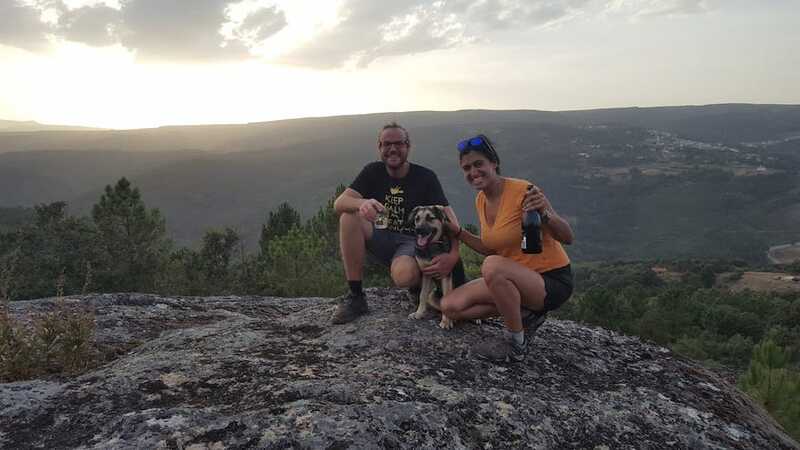 Lisa Niver C’89 (pictured left), founder of We Said Go Travel, has been to 101 countries and six continents. Recently, she was invited to share travel segments on KTLA TV in Los Angeles, and she was part of the station’s Critic’s Choice Awards and Oscars coverage. Lisa writes, “For President’s Day Weekend, I was on the KTLA morning news, talking about Philadelphia! I worked on the segment with Cara Schneider C’89 from Visit Philadelphia. 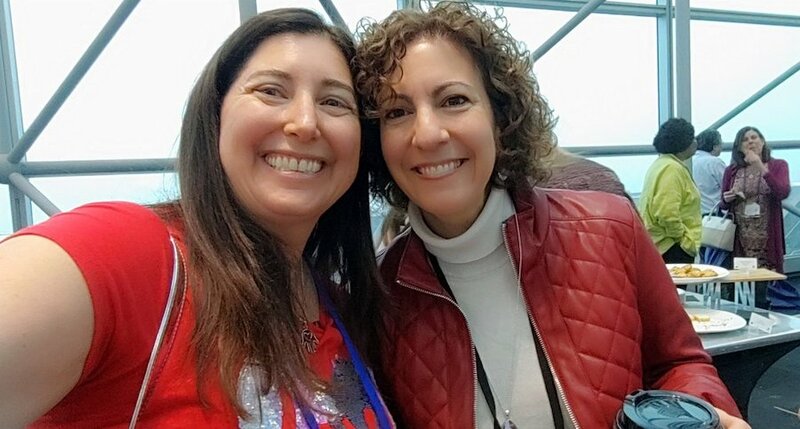 There were over 5.8 million Twitter impressions for the segment, and in the first 30 minutes more than 5,500 people texted to win our Philadelphia Travel Giveaway.” In 2018, Lisa’s blog was read in 212 countries. 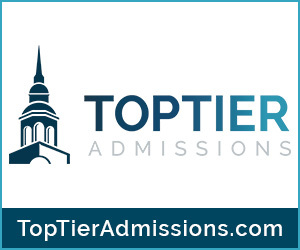 In February 2019, #Travel1K named We Said Go Travel the No. 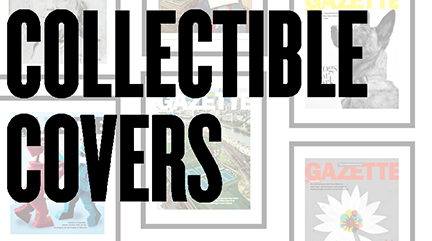 3 blog on its top 1,000 travel blogs list, and Lisa was named the top female travel blogger. View the segment at bit.ly/2Up4elJ. 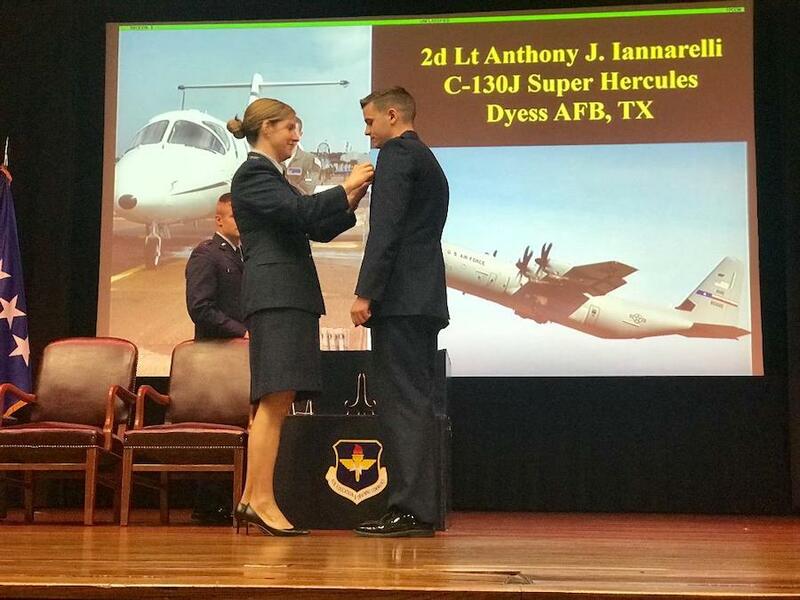 Second Lieutenant Anthony J. Iannarelli III C’16 received his Silver Wings on February 15 from Colonel Samantha A. Weeks, commander of the 14th Flying Training Wing, at a graduation ceremony for the US Air Force Specialized Undergraduate Pilot Training Class 19-06 in Columbus, Mississippi. Anthony also received the Academic Excellence Award at the Class 19-06 dinner that evening. Anthony will start the next phase of his training on the C-130J Super Hercules at Dyess Air Force Base in Texas. 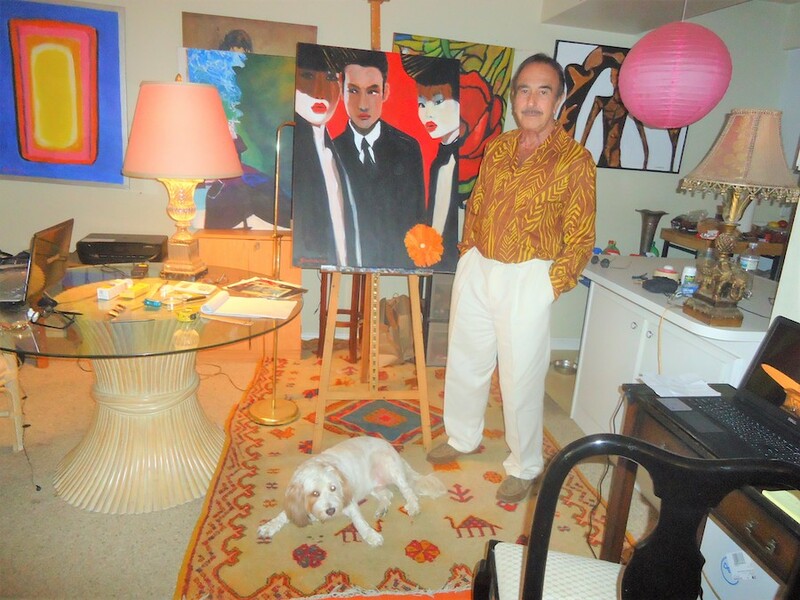 Ron Samara W’66 is a professional artist in Palm Springs, California. View his work at saatchiart.com/ronsamara. 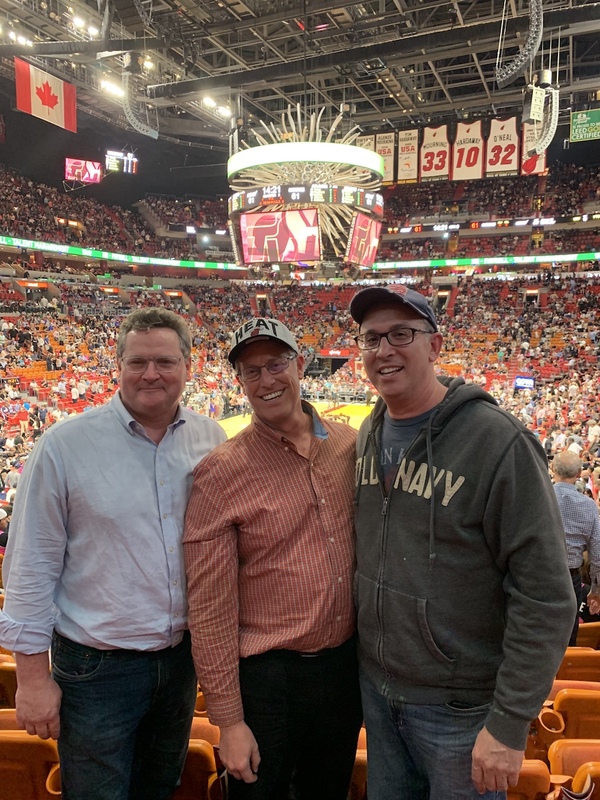 Roy Larson W’89, Keith Wasserstrom W’89 L’92, and Steven Schultz C’89, former roommates at Penn, met at American Airlines Arena to take in a Miami Heat game while planning their trip to Philadelphia for their 30th Reunion. 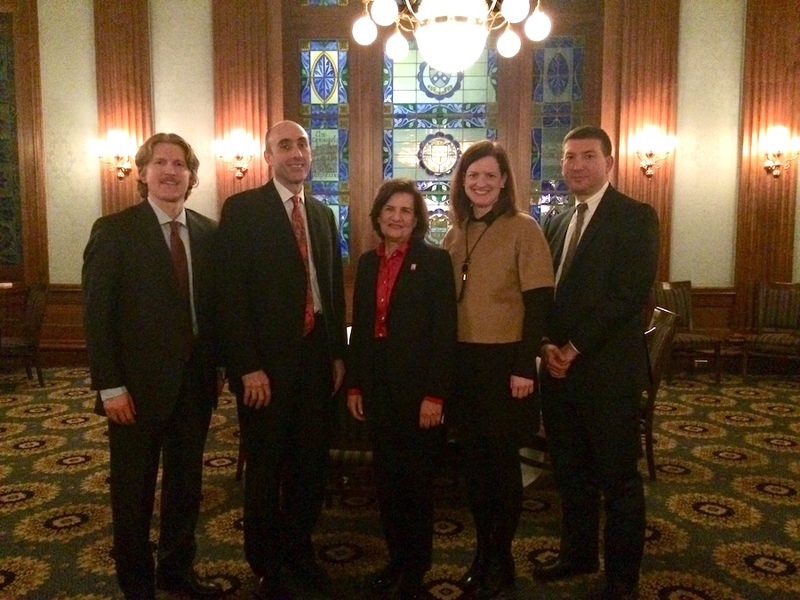 Jason M. Shapiro WG’09, president of PennNYC, shared this photo from the yPenn Nonprofit/Philanthropy Panel on March 12, 2019 at the Penn Club. Pictured (from left): Erik Hummel LPS’13, yPenn chair; John W. Bernstein C’82 WG’87, COO of the Ford Foundation; Judy Nemez Vredenburgh CW’70, CEO of Girls Inc. and former CEO of Big Brothers Big Sisters; Janet Raye Cowell C’90 G’95 WG’95, CEO of Girls Who Invest; and Scott M. Kleinman C’94 W’94, founder of the Kleinman Center for Energy Policy at Penn. 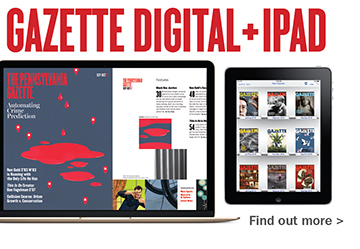 Submit your photos and updates to gazette@ben.dev.upenn.edu. Keep smiling, Quakers!